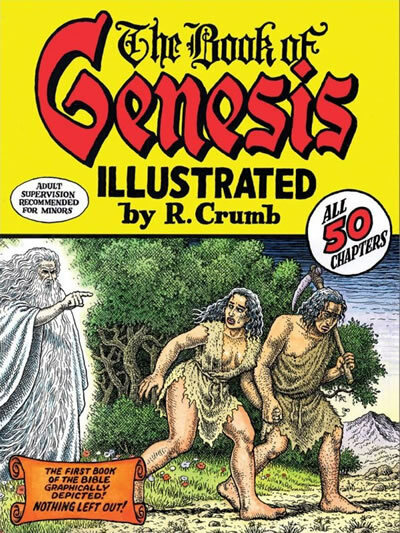 The cover to Robert Crumb’s much-awaited new Book of Genesis, called to my attention courtesy of cartoonist Cat Garza at The Magic Inkwell… go there to see it at a larger size. Be Prepared Wednesday Advertising Day. Spaceships and headlights Thursday Story Strip Day…. This entry was posted in HEY! KIDS! COMICS! by STWALLSKULL. Bookmark the permalink.